France wants to 'drain jobs from the UK' as it threatens to block an early Brexit transition deal in a move which would harm British businesses. 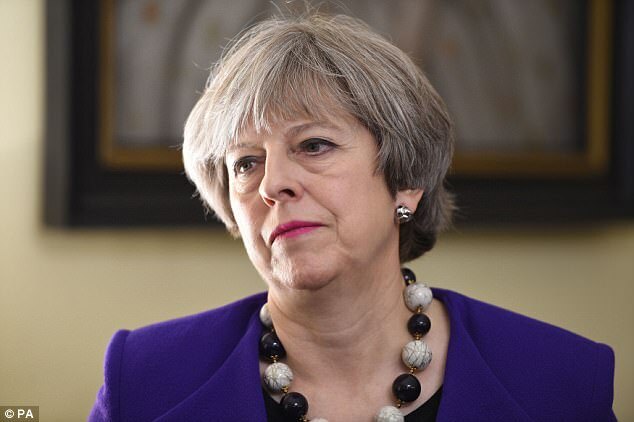 Theresa May hopes to get a two-year transition deal signed off at an EU summit in March so negotiations can swiftly move on to a future trade deal. But Paris is said to be maneuvering behind the scenes to 'keep the pressure on the Brits' as it wants to swoop in and lure businesses away to Paris. It comes as Emmanuel Macron travels to Sandhurst today to hold talks with Mrs May in his first official trip as since moving into the Elysee Palace. 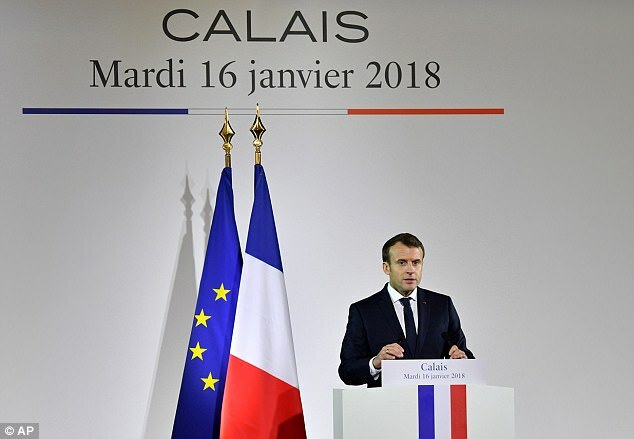 The French President has openly said he wants to use Britain's looming departure from the bloc to lure lucrative financial services away from London. Britain's former ambassador to France, Lord Ricketts, said last night: 'When it comes to French interests, economic interest, in the Brexit negotiations he will be hard headed and he will push for a tough outcome. While Christian Noyer, a former Bank of France governor who is leading efforts to persuade banks to move to the country, said he wants Paris to close the gap on 20 years of growth in the City of London. He told the BBC Radio 4 Today Programme: 'Twenty years ago London was already the first financial centre and Paris was much more important. 'Many banks had concentrated their forces in London which had tens or sometimes hundreds of staff in Paris before. Mr Noyer was hired in 2016 by the French government to pursue the country's financial interests in the Brexit negotiations. A senior EU diplomat poured cold water over the prospect that a transitional agreement, telling The Telegraph: 'It is absolutely not a foregone conclusion there will be a deal on transition in March,' said a senior EU diplomat. While Mrs May has insisted that 'nothing is agreed until everything is agreed' in the Brexit talks, she is hoping to secure a handshake on the transition deal in two month' time. If EU member states decide to block the agreement it will be a major blow for the Prime Minister and would threaten to derail her timetable for getting a future trade deal signed off quickly. And banks could enact their contingency plans and start moving offices and staff out of London into its EU rivals in places like Frankfurt, Amsterdam and Paris. Whitehall is said to have grown more gloomy about their prospects of securing the March agreement.